Your child gets to play Olympic judge in this year 5 maths worksheet. She'll calculate each country's average ski time, then find the winners! 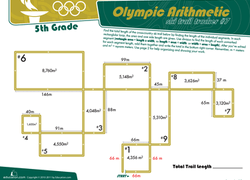 Improve your fifth grader's division and geometry skills with this fun Olympics-themed printable! It's the Winter Olympics, and two skiers are racing down the mountain. 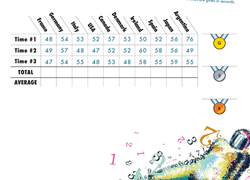 Get your kid to find out who wins with our combination maths and colour-by-number activity. 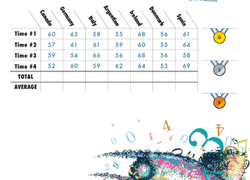 Go for the gold in this maths facts practise sheet! Your little skier will join these contenders to race to the finish. 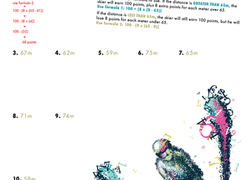 If your kid loves to ski, here's a maths sheet of Olympic proportions! He'll need to solve a few maths facts to help these skiers get down the slopes. These skiers are flying down the slopes! Who will win? 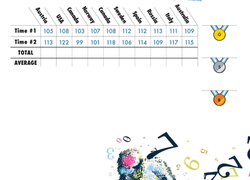 Your first grader will join the high-flying fun while practising addition and subtraction facts. 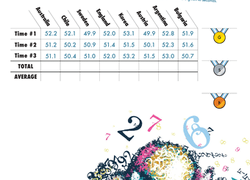 Go for the gold in this maths facts practise sheet! 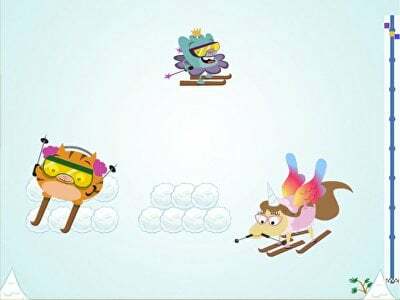 Your little skier will put his addition and subtraction skills to the test in order to see who wins the race. 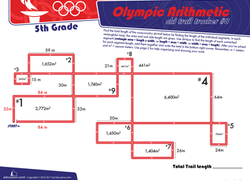 Introduce your fifth grader to basic algebra with this Winter Olympics-themed maths worksheet. He'll use an algebraic formula to find each ski jumper's score. And they're off! Your little Olympian will join the high-flying fun of this ski race while practising addition and subtraction facts. 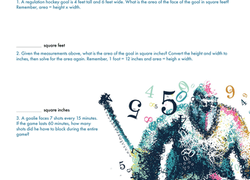 Find out which skier will win the race in this high-flying maths worksheet. Kids will solve problems to show which skier rounded the most flags. Your little Olympian can join two downhill skiers in this combination maths and colour-by-number worksheet. Your kid will solve addition and subtraction problems. Your child will use his addition and subtraction skills to help the skiers down the slopes. He'll need to solve these mental maths problems to see who wins. It's a maths facts ski race! Kids will colour maths-filled flags to determine which skier made it down the hill first. Your fifth grader will use his maths skills to help the judges determine which country has the fastest averages in an exciting Winter Olympics sport--skeleton! Spark your child's interest in Olympic ski jumping and introduce him to basic algebra with this challenging year 6 maths worksheet. Show your fifth grader how to practise geometry and division Olympics-style with this fun maths worksheet! Playing Olympic judge is easy with this imaginative worksheet. Ask your fifth grader to determine this ski jumper's final scores using algebraic formulas. Help your fourth grader celebrate the Winter Olympics season by incorporating snow sports into maths practise: geometry word problems focused on ice hockey. Your child gets to play Olympic judge as he completes calculations to find each ski jumper's final score in this year 6 maths worksheet. 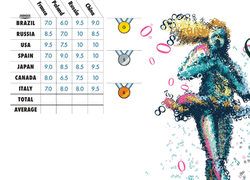 Who will take home Olympic bronze, silver, and gold? Your fifth grader's algebraic ability is needed!